What is it? 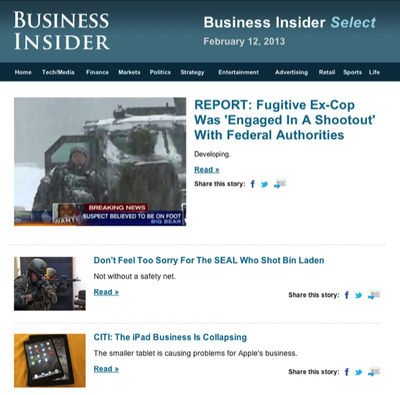 Business Insider Select is a daily personalised email containing selected news, analysis, and video from the site based on your interests. Signing up for the newsletter is quick and easy. Just enter your email and ZIP code below, then click the “Sign Up” button.